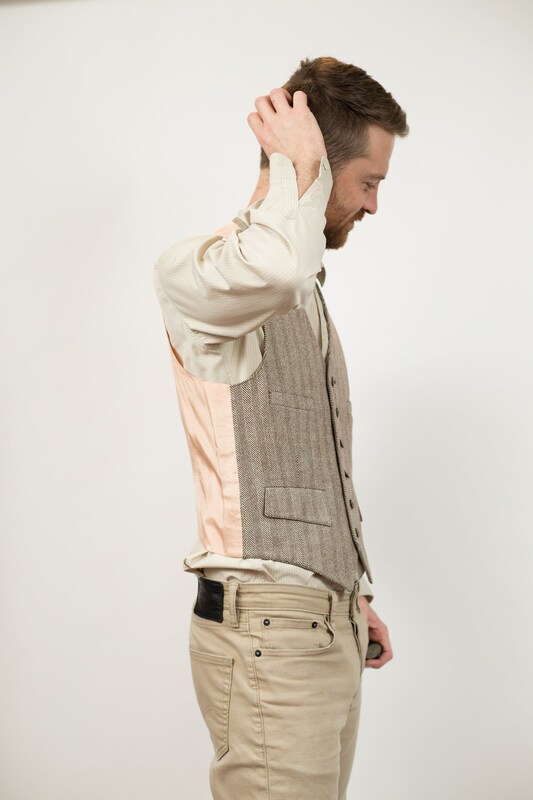 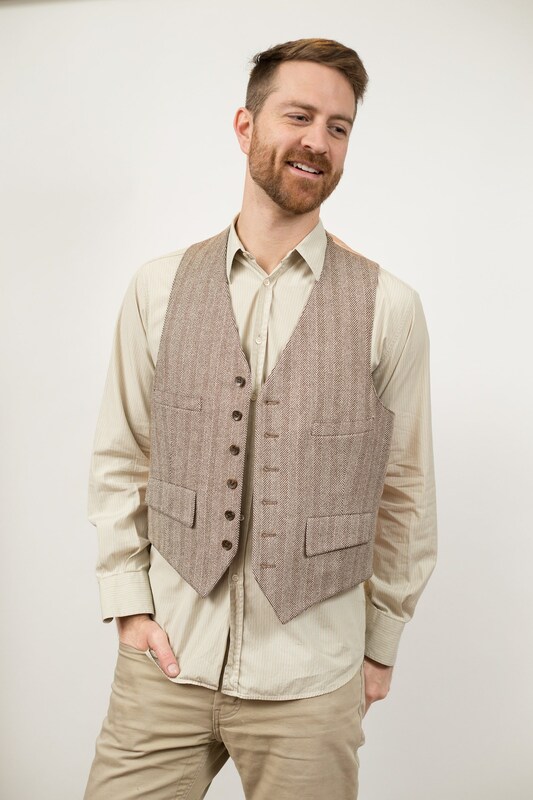 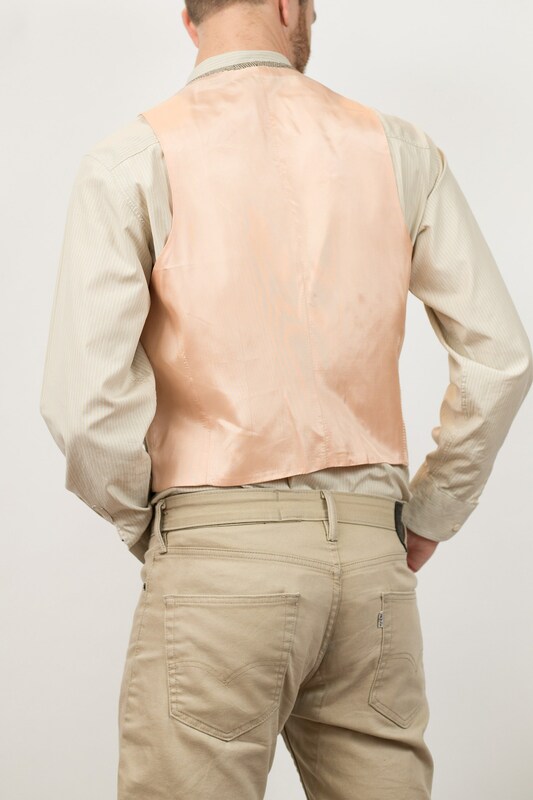 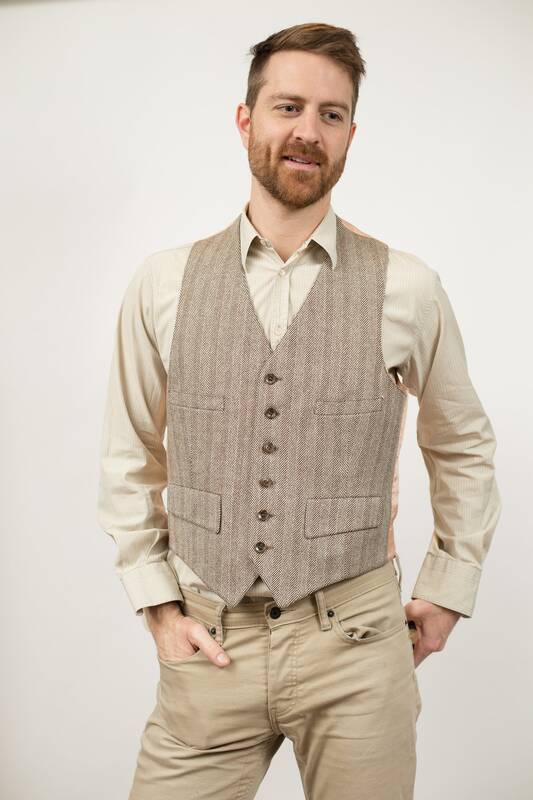 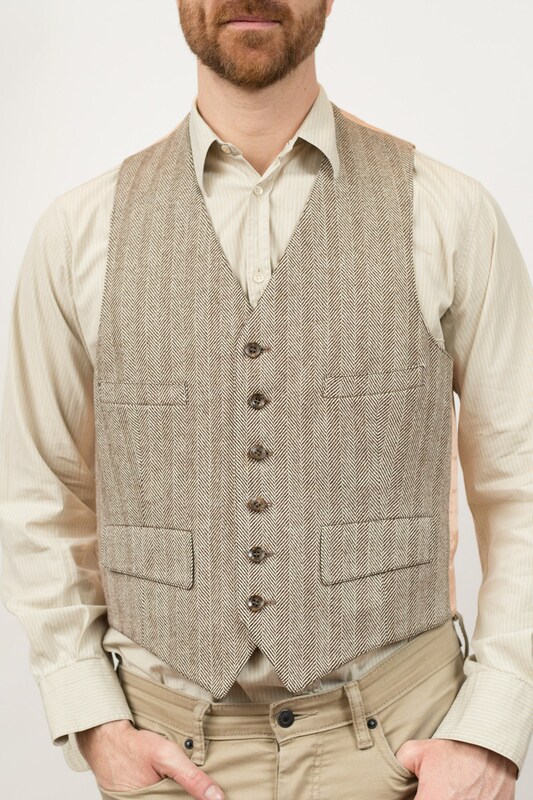 This is a classic vintage herringbone / chevron pattern light brown tweed vest with a polyester peach colored backing. 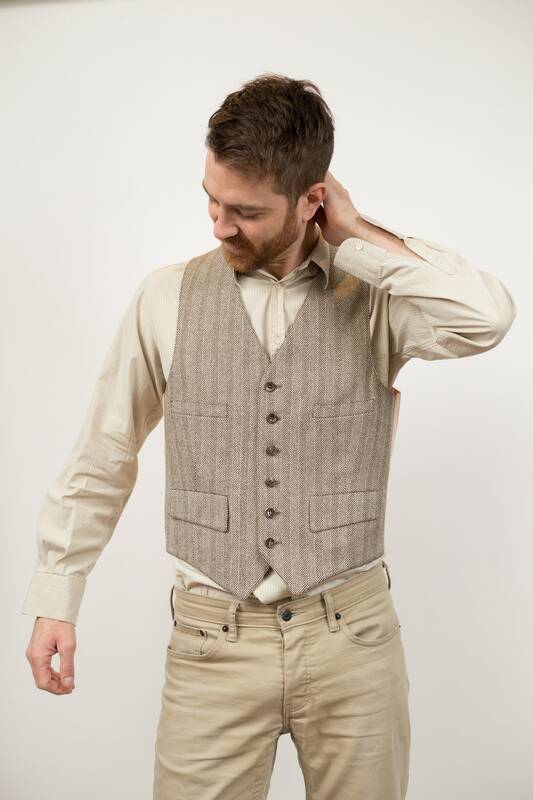 Fits Like: fitted medium (Model wears medium and is 5”11). 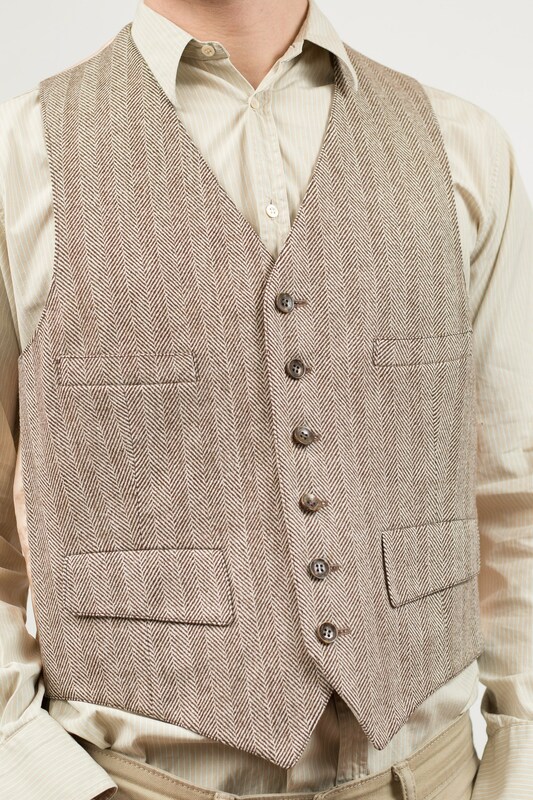 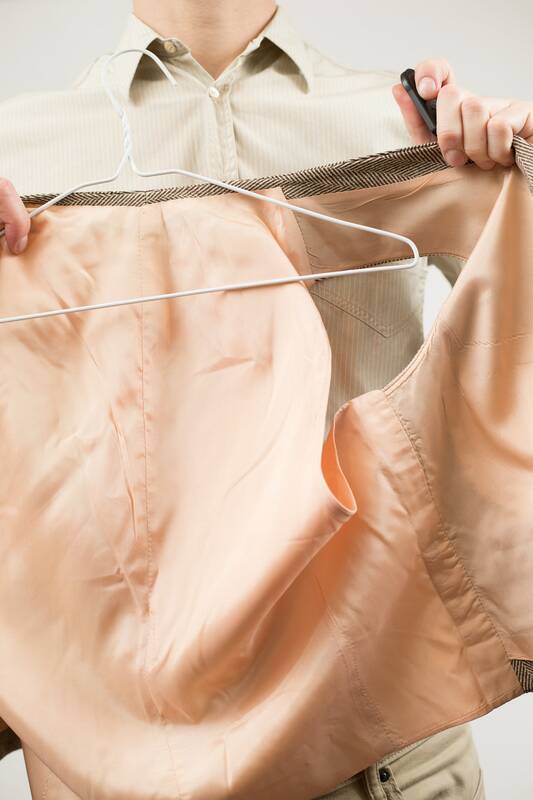 Material: wool shell, polyester lining and back.